Do you currently use Volatile Corrosion Inhibitor (VCI) packaging to protect metals from corrosion? 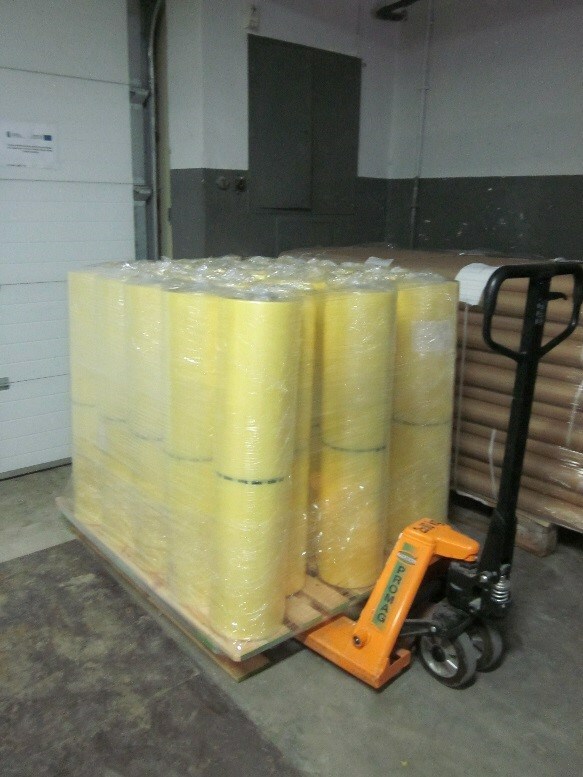 Are you wondering the best way to store VCI packaging such as rolls of poly sheeting and VCI gusset bags before use? Since VCI products are designed to diffuse their protective chemistry into open spaces, the key to preserving their effectiveness is to keep them tightly enclosed in waterproof and air-tight packaging. The five tips below are the manufacturer’s recommendations during storage as well as storing during longer periods of downtime and in-between use. Store in a cool, dry place and in original packaging until ready to use. The warehouse or indoor storage area should be kept at temperatures between 0°F to 85°F (-18°C to 29°C) with a relative humidity of less than 60%. When not using VCI material for an extended period of time, enclose in airtight plastic packaging to prevent atmospheric contamination and preserve VCI. Reclose packaging at the end of shifts or during downtime. Protect from moisture and debris. Store under shelter and cover with sheeting to protect from dirt and dust. Once the product is removed from original packaging continue to keep it protected from contaminants and do not allow it to become wet. Protect from UV light and high-heat. UV (Ultra Violet) light exposure may cause the material to discolor, crack or disintegrate. Signs that film has been exposed to excessive heat are film blocking, aging, and degradation. This may cause discoloration and reduce or change film properties such as loss of antistatic and corona treatment properties. Practice first in, first out procedures. Keep all information, labels or other identification with material until completely used for traceability purposes. Rigid material that conforms to a specific shape should be stored on clean, flat surfaces to prevent warping. Avoid uneven surfaces such as pallets. The shelf life and service life of VCI packaging products can vary slightly between manufacturers. A typical storage life for poly packaging is 2-3 years with a subsequent service life of up to five years. VCI Kraft paper packaging has a shorter lifespan and typically can be stored for 1-year and protects for up to one year after that. VCI packaging products provide the best protection for the longest duration when stored properly. Consult with our VCI packaging experts to set up an ideal warehousing and supply solution.